The Expressionism art style was a wide-ranging international and far reaching modern art movement that encompassed not just painting but cinema, theatre, literature and dance. The term expressionism is used to signify the use of distortion and exaggeration in the interests of emotional effect. Unlike the Impressionists, who tried to recreate an impression of the objective world, the expressionism art style was concerned with the imposition of the artists own personality, feelings and emotions onto their representation of the world. The Expressionist artists wanted to capture their emotional response to the world around them, rather then just recreating what they saw. 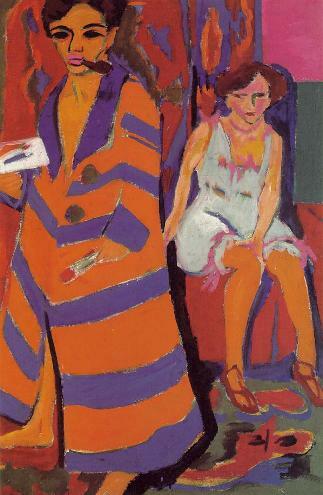 Expressionism history can be traced back to the beginning of the 20th century, but most clearly to Germany in 1910. The work of the German Expressionist painters had its roots in the Fauves and Post Impressionists, going right back to the ‘Romantic’ artists of the nineteenth century, who were also interested in the idea of manipulating reality with view to expressing an emotional feeling. 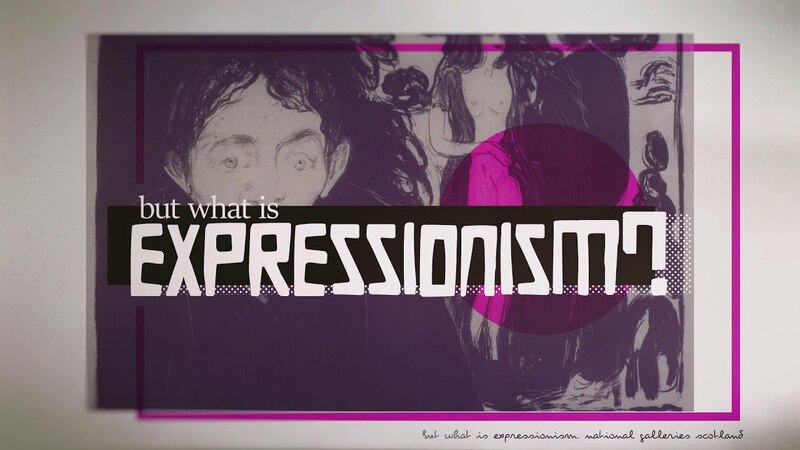 The expressionism art style is typified in modern painting by the use of intense and un-naturalistic colour and the distortion and exaggeration of form for emotional effect. The beginnings of this can be clearly seen in artists such as Van Gogh, with his use of pure colour, agitated brush-marks and distortions of shapes. 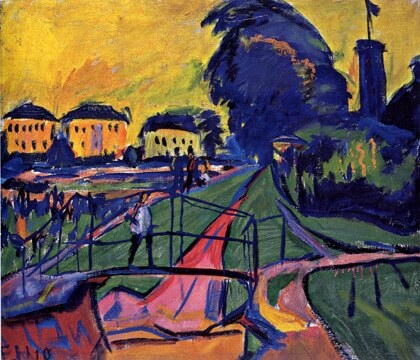 The German Expressionists were an important element in Expressionism history, and in particular the group called Die Brucke (The Bridge), formed in 1912 and led by Ernst Ludwig Kirchner. Other members of Die Brucke included Erich Heckel, and Karl Schmidt-Rottluff. Later members included Max Pechstein and Emil Nolde. Another expressionist group called Der Blaue Reiter and led by Wassily Kandinsky was formed a short while later is discussed fully on a separate page. Some years later when the Nazis came to power in Germany, Kirchner’s work, along with the work of many other artists, was denounced as ‘degenerate art’ and confiscated. He took his own life shortly before the outbreak of World War II. Some of the most important artists in Expressionism history are Ernst Ludwig Kirchner, August Macke, Franz Marc, Emile Nolde, Oskar Kokoshka, Georges Rouault and Otto Dix.